With one of the oldest education systems in the world, UK qualification is widely respected across the world. You can study in a way that suits your lifestyle and career options as the education system is very flexible. When you study in UK, you meet people from diverse backgrounds and nationalities, discovering new perspectives. Though getting work in UK after the course is not as easy as you might think, but still you can find brilliant opportunities to study in UK. UK is a unitary state comprising of four countries – England, Scotland, Wales and Northern Ireland. With a sizable Indian population, it is a favored destination amongst many Indian students. It is a multicultural society with all religions represented in some way and open to new cultures and traditions. England is economically the most advanced amongst the 4 regions, and offers very good opportunities. Studying in the United Kingdom for Indian students would be definitely one of the big journeys. NewStrides offer free guidance on Visa requirements in UK for Indian citizens, cost of studying in UK, employment prospects, engineering in UK, IT in UK, management in UK, masters in UK, MBA in UK, MS in UK and more in detailed information about the best study overseas programs. Apart from being best overseas education consultant, we represent a large number of other institutions as well. The universities in UK uniformly rank among the best in the world and the qualifications are internationally recognized and valued. With a history dating back to 1862, the University of Plymouth is consistently ranked amongst the top three modern Universities, and is a favored destination for Indian students looking to study in UK. It is the fifth largest UK University by student population and also amongst the top 50 research Universities. Boasting of education system by UK standards, the ICT and other Engineering related programs are very popular with Indian students. 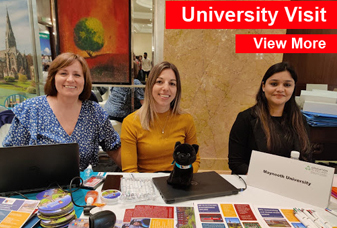 Previously known as the Thames Valley University, UWL has one of the best employment records in UK and a wide range of programs to choose from. It is ideally located in West London, and has programs in diverse fields like Business, Computing and Hospitality. LSBU is one of the largest and oldest Government universities in London with more than 2,000 international students from 130 countries. Set in the heart of London, the LSBU campus is a 10-minute walk from the famous South Bank centre of the arts, as well as mainline train stations including Waterloo and London Bridge. 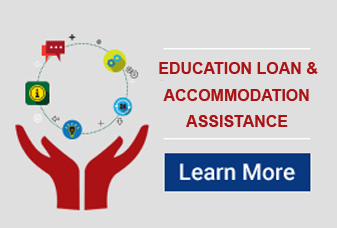 It offers a wide variety of courses in IT, Accounting, Human Resource, Business Management, Engineering, Sustainable Energy, Sciences and many more areas, including courses with internships. The MBA at the University is another popular course. Employment prospects for successful MBA graduates are excellent due to strong link with employers through alumni. Ideally located just minutes away from Birmingham, the University of Wolverhampton is one of the largest Universities and a good destination for study in UK. It combines the benefits of a small and big city – comparatively low costs and easier job opportunities. It has a wide range of Business, IT and other Engineering programs, and offers good scholarship opportunities and easy payment terms. Know more about Study in USA, Study in Ireland, and Study in New Zealand. Apart from the above, we represent a large number of other institutions also. Please get in touch with the NewStrides team for more details regarding study in UK. The Directors of NewStrides Consultants Pvt. Ltd. are certified Education UK Agents by the British Council.